What’s Next For Battlin’ Boxers? You are here: Home / What's Next For Battlin' Boxers? Hey Yugioh Community! Chad here, again with another Battlin' Boxer article. Last time, I covered what the archetype is meant to do and how they do it, and at the end, I briefly mentioned that they were getting more support in the upcoming set Shadow Specters. Well, that's the topic for this article....the new support. Anyways, let's just begin with the effect monsters. During either player's turn: You can banish this card from your hand or Graveyard, then target 1 "Battlin' Boxer" monster you control; banish it until your next Standby Phase. He's not all that great right, but with the ability to save a monster from something like bottomless, dimensional prison and stuff like that is still pretty decent. Next up, to the right, is Battlin' Boxer Rabbit Puncher . Once Again, the card is in Japanese, so I'll provide the stats and effect below. 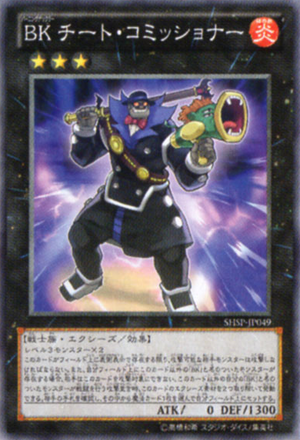 .At the start of the Damage Step, if this card attacks a Defense Position monster: Destroy that monster. All monsters your opponent controls must attack, if able. If you control other "Battlin' Boxer" monsters, this card cannot be targeted for an attack. When an attack is declared involving another "Battlin' Boxer" monster you control and an opponent's monster: You can detach 2 Xyz Materials from this card; look at your opponent's hand, then Set 1 Spell Card directly from their hand onto your side of the field. This guy's effects can be very situational, because he forces your opponent to attack you while he's face up and if you have another Battlin' Boxer on the field, he can't be attacked. However, if you have a Battlin' Boxer on the field, when it gets attack you can detach 2 materials to steal a spell card from your opponent's hand and set it. Not the best card, but I don't think it's the worst. If played correctly, he might be able to steal a super rejuvenation from dragon rulers or something like that. Send the top card of your Deck to the Graveyard, then target 1 "Battlin' Boxer" monster in your Graveyard; Special Summon that target in face-up Defense Position. You can only activate 1 "Burning Knuckle Spirit" per turn. Very situational, but if you mill the right card, this card could potentially do some bad things that your opponent might not be able to get around. Anyways, that's the last of the new support for the archetype. The new support cards that the Battlin' Boxers receive in Shadow Specters may not be the greatest support cards in the world, and while I would much rather play different tech choices, these are definitely decent cards, although they can be quite situational. In my next article, I'll talk about some of the tech choices that you can use in a Battlin' Boxer deck, you might even be surprised at what choices I'll make to talk about, and you'll see my updated deck list, and maybe even, what my deck will look like come Shadow Specters.. That's all for now duelists, and remember play hard or go home! Rabbit puncher, great for side deck. Counter punch is already a lv 3, and leverage gardna really would save your monsters from things like dark hole, mirror force, and then they stay on the field for an XYZ next turn. Now, stealing spells is an amazing idea. He requires 2 Lv 3 monsters, not battlin boxer, right? So you can throw Crane Crane into this deck to make him easily. Crane Crane can target itself, counterpunch, or gardna so that’s at least 5+ targets. And you can steal a Heavy, Monster Reborn, or anything. But the downside is they would probably set them before entering the battle phase. You still get to peak at their hand at least, I guess? 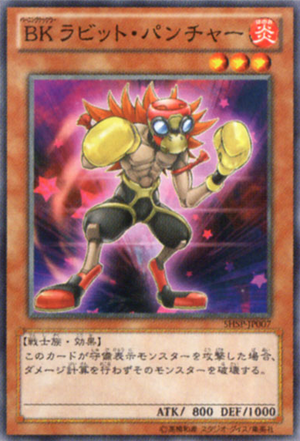 Also – Burning Knuckle Spirit is a better than decent card. It’s a S.S. that recycles, so you dont have to use sparrer! Fair enough. I like your idea for the crane crane combo. Cheat Commissioner’s effect is really good like you mentioned because you can steal a spell or get a peak at your opponent’s hand. However,like I mentioned in the article it is very situational. Also, I somewhat agree about the spell card, however I prefer to play circle of the fire kings because with that you are almost guaranteed more pluses. Although the spell card doesn’t actually recycle, it actually dumps a card so if you dump a counter punch your pretty much set, but still it depends on player preference. Now that I think about it, I’d rather just have a Zenmaines on the field, unless I already have Lead Yoke – and can force my opponent to give me the 800atk boost. That’s the only real benefit I see being permenant. They’d either switch all their cards to defense, or give you the 800 boost. I didn’t even think about circle of the fire kings, I might try using that.